Microdermabrasion is a simple, non-invasive procedure which revitalizes dull skin, reduces irregular pigmentation and large pores, and erases fine lines and wrinkles. An abrasive diamond tipped handpiece is used to remove the dead skin cells by buffing them away. 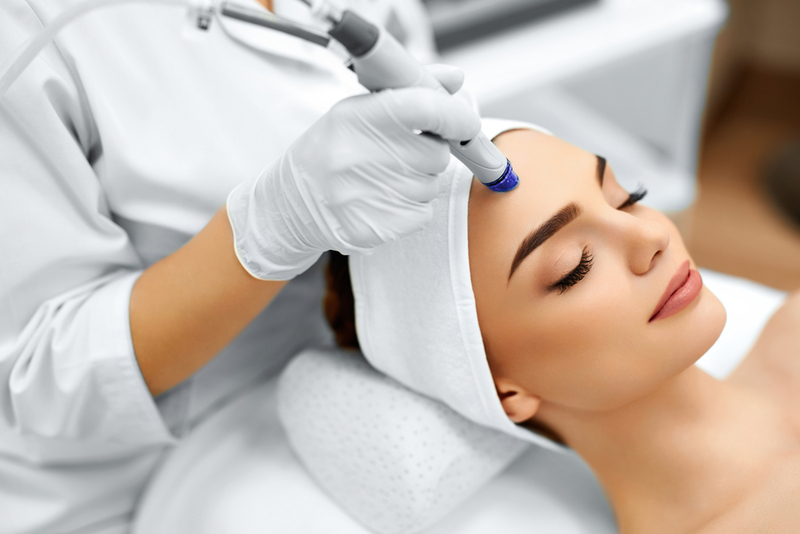 Microdermabrasion is used to treat the following types of skin conditions: dull, congested, blemished, aging skin, acne scars, some hypertrophic scars, some stretch marks, pigmentation (brown spots), seborrhea and minor skin conditions. Call today and find out how microdermabrasion can help you achieve the perfect skin you always wanted. How often it can be done? It can be done every 2 weeks for a series of 4-6 treatments than for maintenance every 1-3 months. There is no downtime, it is in fact often done 1 day prior to an important event to stimulate skin plumpness and make it look young and refreshed.